This little gem in Trogir, Croatia has (truly!) 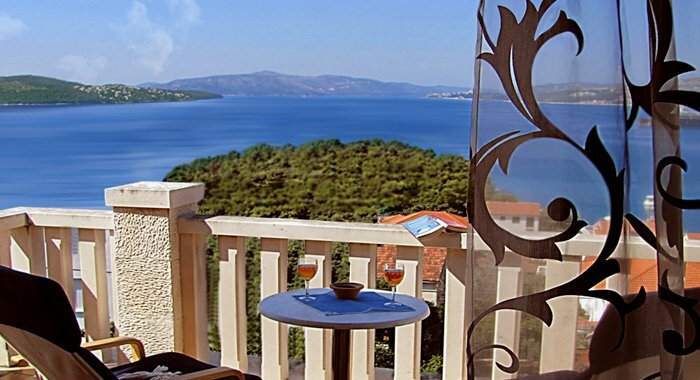 stunning sea views along with its own tavern featuring the best authentic Croatian cooking. 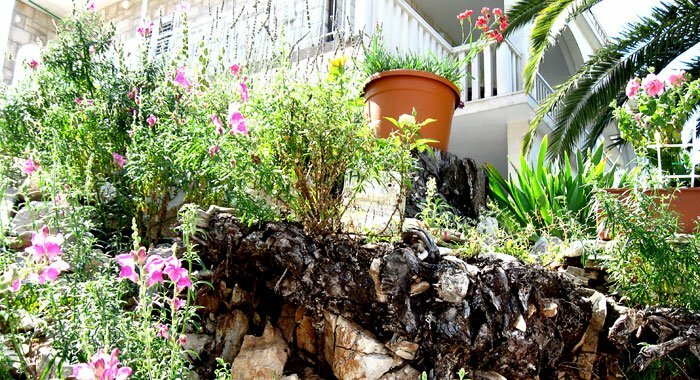 PaPe Trogir bed and breakfast B&B isn’t just a “vacation rental.” It’s about experiencing the soul of Dalmatia. 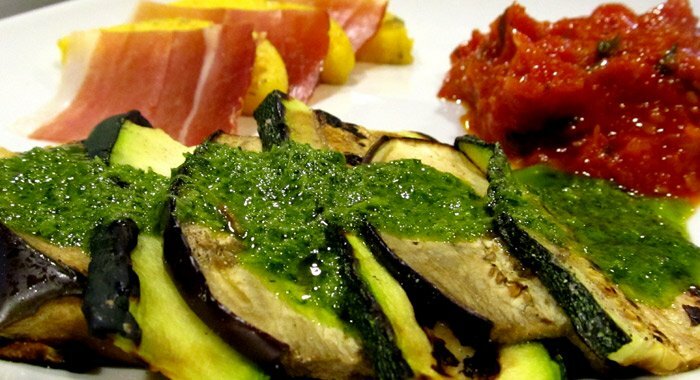 Here, you can enjoy Dalmatian cuisine, healthy, organic and seasonal Croatian cooking classes, and authentic Mediterranean art contributed by local artists. We care about this place we call home, and our unique and eco-friendly B&B is green accommodation recognized and certified. 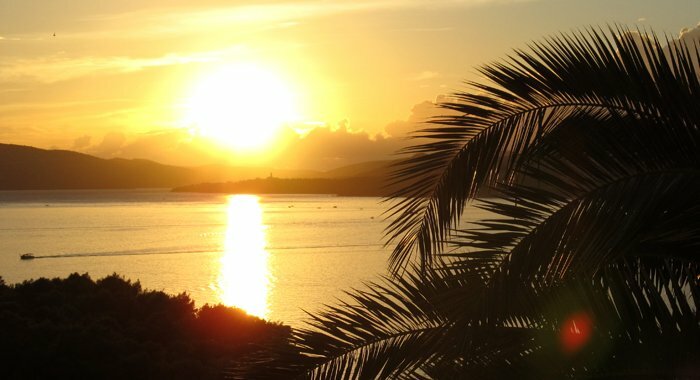 We are a close walk to the beautiful old city of Trogir as well as plenty of relaxing shoreline for swimming, sailing, or simply taking in the Adriatic ambience. Imagine relaxing on the beach and returning to your home away from home for some authentic Croatian cooking, wine, and good conversation. The vibe here is what has our guests returning again and again! Or simply admire the view from your veranda, catch up on your reading, and cook from your private kitchenette. The possibilities for that perfect day are limitless! This is the perfect place to just BE, in your “home away from home,” with a Croatian family. We put a lot of thought and care into creating a unique experience for you, our guest. an uncompromising MEDITERRANEAN and ARTISTIC experience that offers equal parts excitement and inspiration. 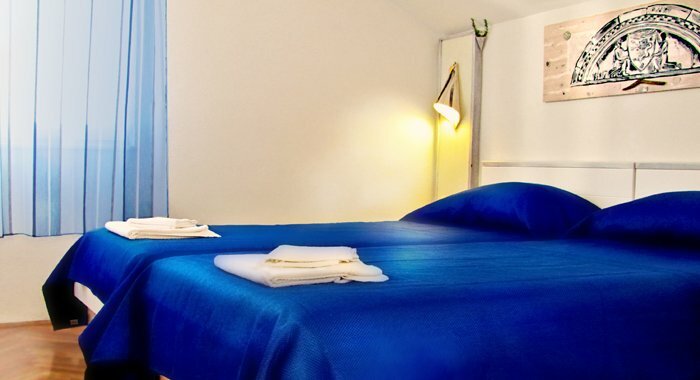 This great little Trogir inn is one of those classic “small finds” that you can discover by pure accident.